E79 Marvin Hart. 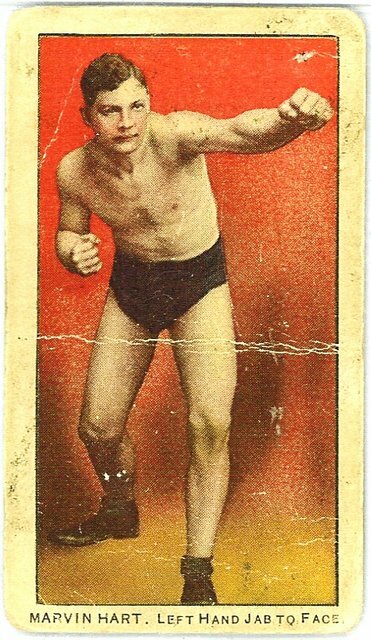 E79 is one of the most widely collected boxing caramel card sets. E79 card back contain a partial checklist and reference 27 "Scrappers", giving the set its nickname. Card backs are printed in black; very rarely will be seen in red.